While Democrats were sleeping and ruining Christmas for everyone else President Trump announced new changes to United States immigration procedures. Without much media fanfare President Trump ended George W. Bush and Barack Obama’s insane catch-and-release policies. 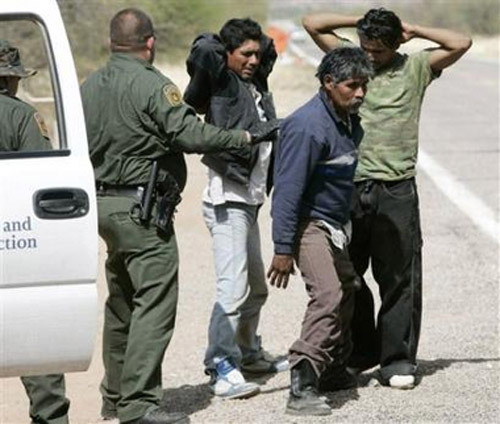 From now on illegal aliens caught entering the United States will be sent to wait in Mexico while their applications are processed. Once their “notice to appear” is available they will allowed in to attend their court hearing. Aliens without valid claims will be deported to their home countries. Aliens trying to enter the U.S. to claim asylum will no longer be released into our country, where they often disappear before a court can determine their claim’s merits. Instead, those aliens will be processed by DHS and given a “Notice to Appear” for their immigration court hearing. Aliens whose claims are upheld by U.S. judges will be allowed in. Those without valid claims will be deported to their home countries.